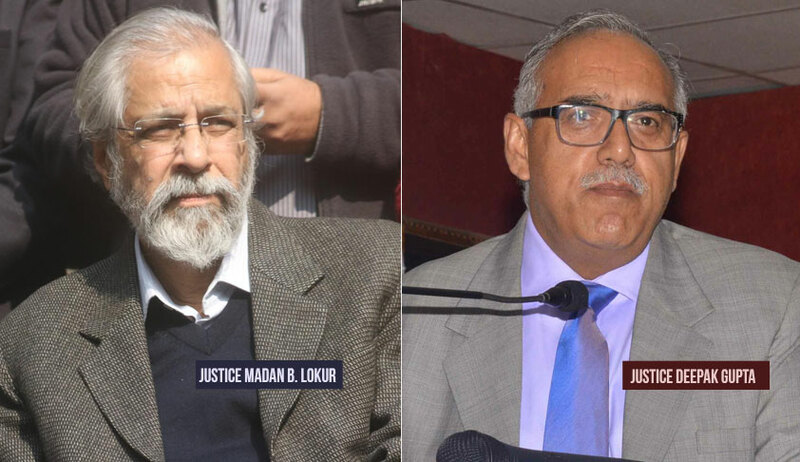 Expressing shock over a newspaper report that 60,000 people have died due to pollution in the past few years, a bench of justices Madan B Lokur and Deepak Gupta justified the ban on import of pet coke and said “people are more important than industries”. During the hearing of a PIL filed by environmentalist MC Mehta, the bench asked ASG A N S Nadkarni if the government had allowed pet coke import without studying its impact on the people's health. When he sought time to study the impact of ban on import of pet coke used in industries as fuel, justice Lokur said: "You seem very keen to allow the import of pet coke. Were you earlier allowing import of pet coke in the country without even conducting the study? The other day newspapers reports said that 60,000 people died due to pollution. What are you doing? People are dying in the city due to huge amount of pollution. We don't know whether the newspaper report is correct or a fake news. But your reports have also earlier indicated that people have lost lives due to pollution, it said. Nadkarni, appearing for the MoEF said a report of the Environment Pollution Control Authority (EPCA) says the Ministry is over-enthusiastic but it is not correct. What's wrong in conducting the study and having a discussion with them (EPCA)? To this, the bench said Let us be very clear. The people of this country are more important than the industries. On December 13, the bench permitted the use of pet coke as feedstock by cement industrial units in Rajasthan, Uttar Pradesh and Haryana. Thus, it has made an exception from its earlier order dated October 24 banning w.e.f. November 1, the use of pet coke and furnace oil as fuel by any industry, process or operation in the 3 states adjoining NCT region of Delhi with a view to tackle the issue of rising air pollution in Delhi. Lime industries have also been exempted from the purview of the October 24 order in respect of the use of petroleum coke. In addition, the bench issued a direction to the Ministry of Environment, Forest Affairs and Climate Change (MoEF & CC) to frame guidelines for regulating the use of pet coke. The apex court had on Monday deferred its decision on relaxing the October 24 ban in respect of the cement industry and thermal power plants. The MoEF & CC had earlier on December 4 expressed support to lifting the ban on furnace oil and pet coke so far as the cement industry and thermal power plants are concerned.